EBX is a master data management tool used by companies with a need to manage and share vast numbers of data assets. It’s a flexible and agile tool setting it apart from most older data management tools. One of the key features of EBX is that data stewardship, workflow utilities, data quality, and data integration are built right in allowing companies to spend less time creating management solutions and more time using them. Recently we’ve had more employees at Ippon interested in the uses and functions of EBX. So, with such a configurable piece of software and a knowledgeable team, Ippon set out to create a training program for our employees to get them jump-started with EBX titled the “EBXpress Bootcamp”. The goal of the bootcamp wasn’t to impart a full understanding of EBX and all it’s functions. With how deep the customizable aspect of EBX goes that could take far too long, so the EBX team here at Ippon focused on specific examples of use cases that our clients typically request. We started the bootcamp with a quick overview of what EBX does and what it’s used for as well as an explanation of its graphical user interface. 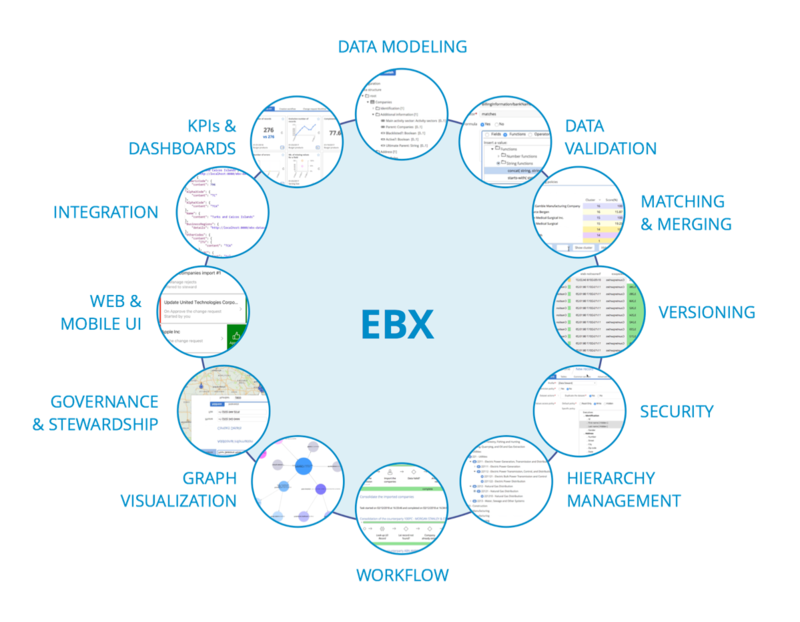 EBX provides intuitive visual ways of traversing the information it contains as well as ways to alter and manipulate that information through the same interface. The trainees were quick to get an understanding of how all of these interfaces worked in unison and were able to find their way around the interface within an hour. That was only the beginning though, now that they could get around the next step was running through some tutorials and examples to do things ranging from creating custom users and roles, to setting permissions, creating data models and data sets, creating custom data manipulating scripts, and creating workflows that would allow for data validation by verified users. EBX provides multiple ways of creating these functions through both the graphical interface as well as through the Java API, a powerful customization tool that can allow you to make EBX truly your own and open up the possibilities of the program. Once we delved into a light understanding of what the features of EBX were used for and how they worked, and then further explained a lot of the functionality of the API our trainees were more than ready for their first test in understanding EBX. We gave them the task of setting up a simple workflow that would be run whenever a user tried to either enter or edit an entry in the Master Data. This workflow would first have another user validate the entry in a child data space created for the sole purpose of housing the change (to ensure data integrity on the Master data space), and then would merge that child back into the Master to complete the alteration of the data. The bootcamp ran for two days with the first day consisting mostly of training and theory with short examples and the second consisting of the workflow tutorial set to assess the trainee’s understanding. That said, it wouldn’t be an Ippon bootcamp if it only consisted of work. 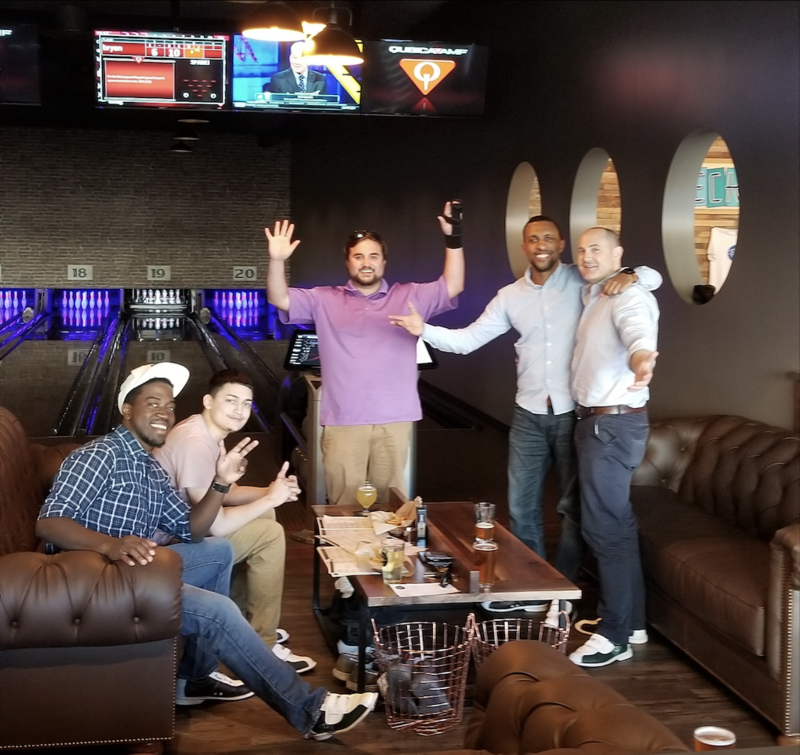 So after a long day of studying, Ippon and the EBX team headed to a local bowling alley for some fun and friendly competition. Ending a great day of training with a few drinks and some good times.